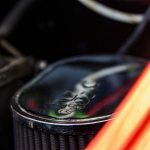 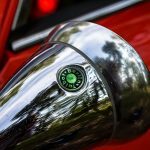 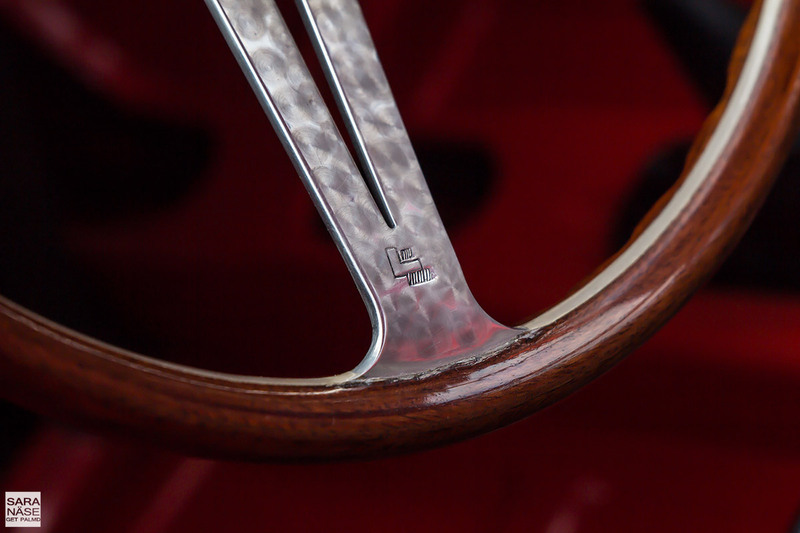 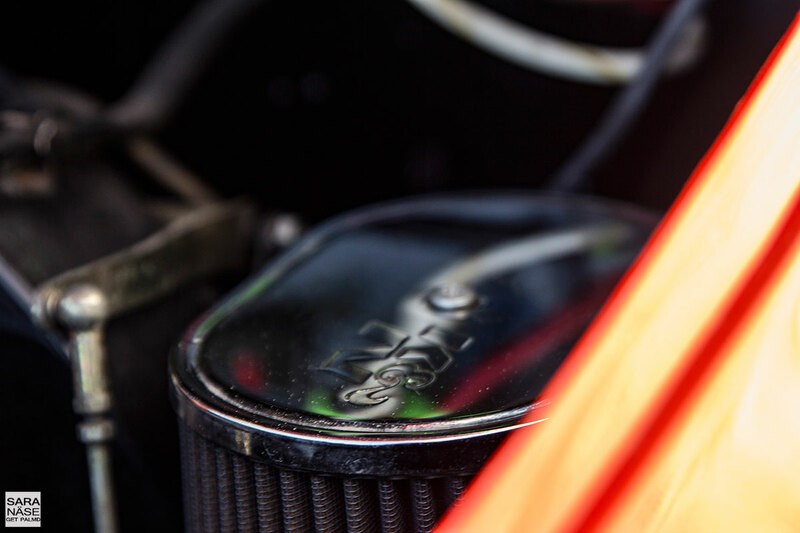 I got the opportunity to see and photograph a VERY cool car. 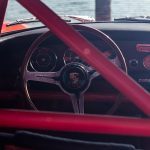 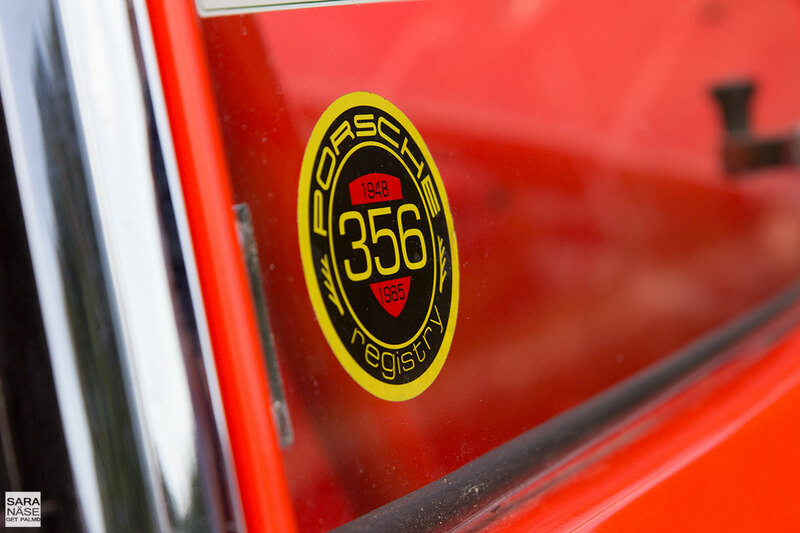 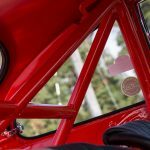 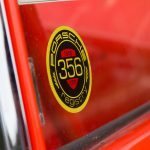 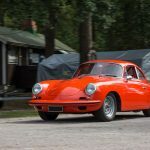 One day I met up with the owner of a Porsche 356B 1600 Super from 1962, a car that has been rebuilt for the race track (still road legal of course), but it has never been raced. 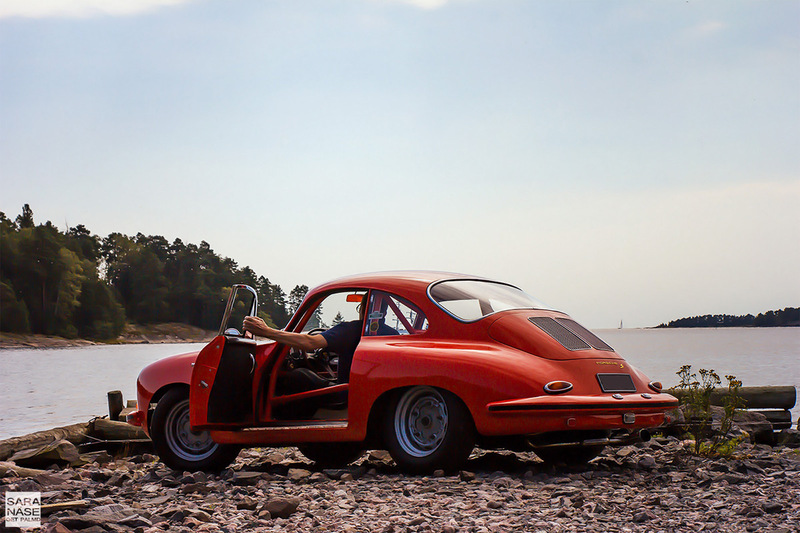 Compared to the other 356:s I have seen this looked so mean with with the roll cage. 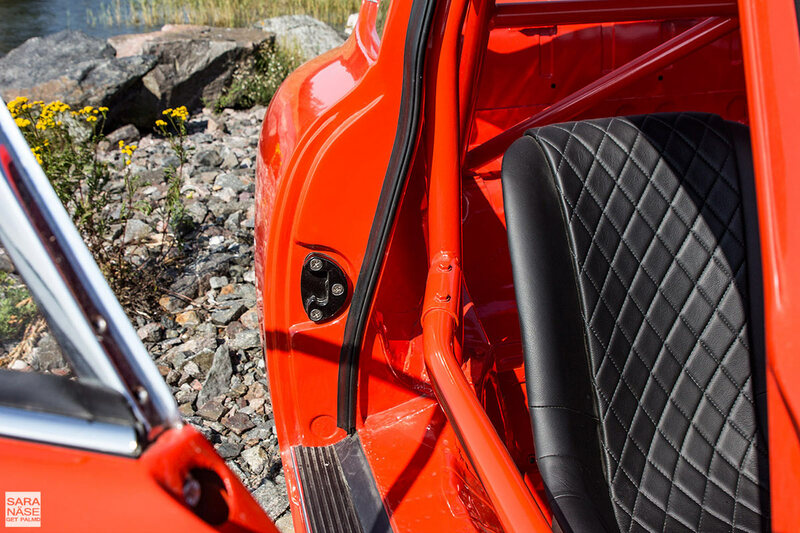 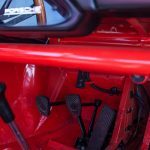 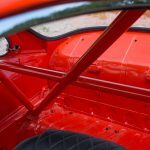 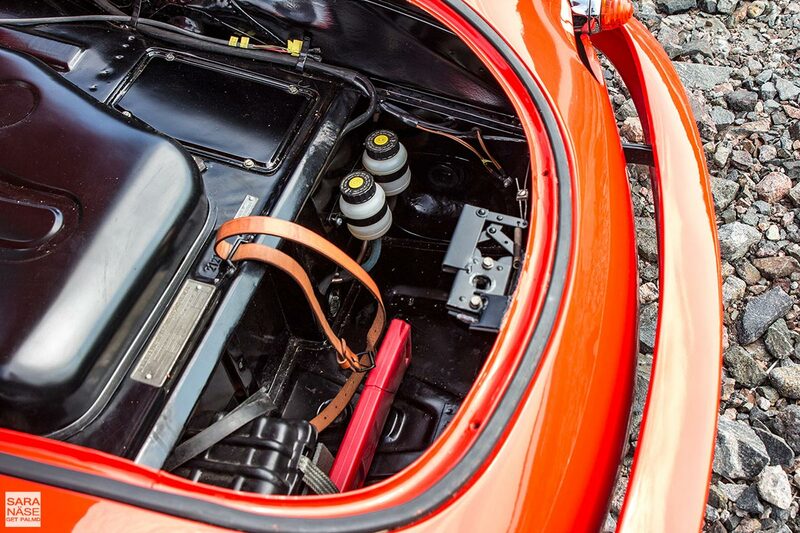 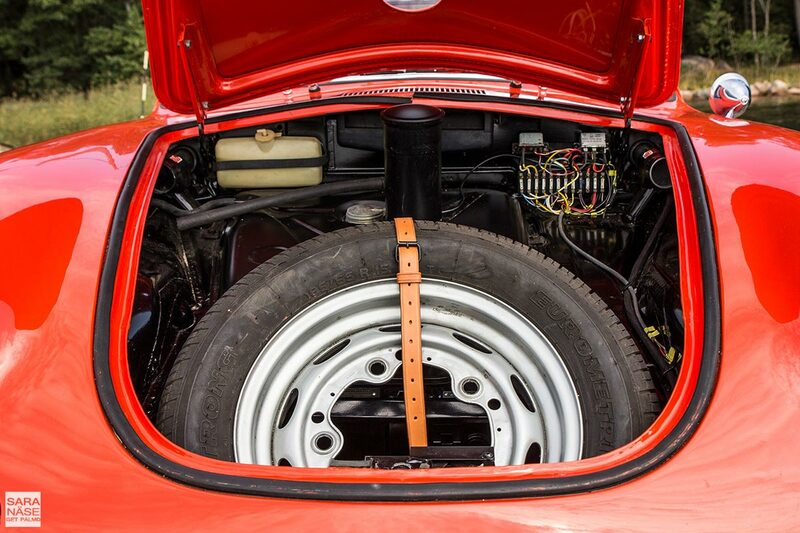 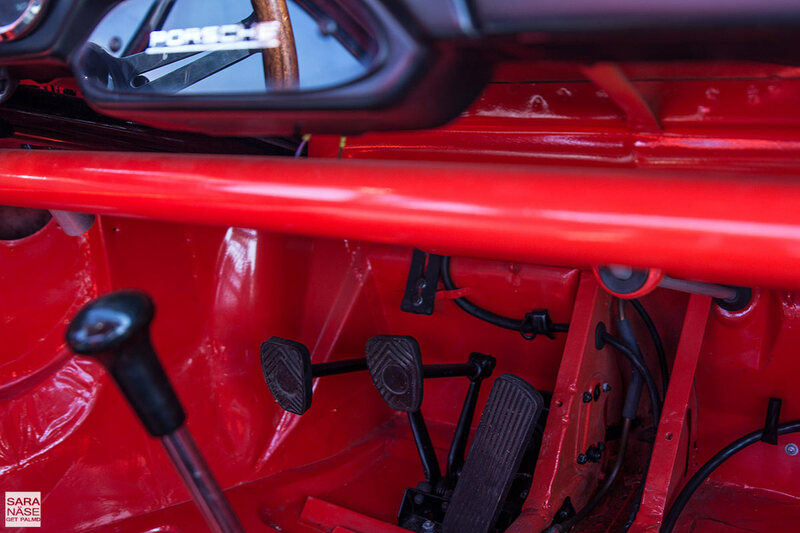 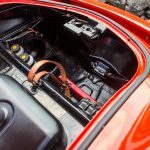 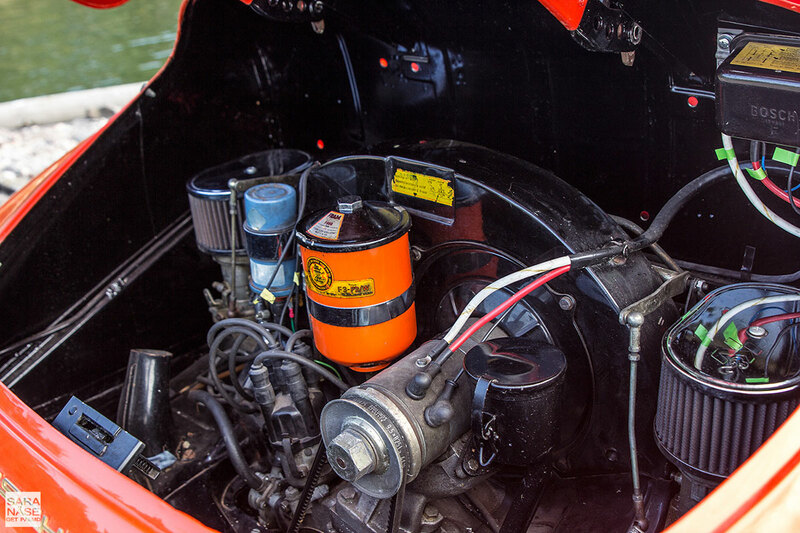 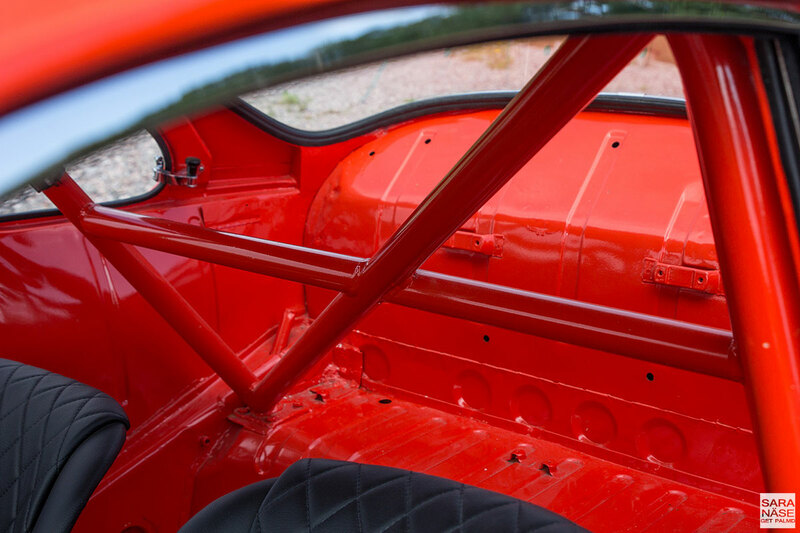 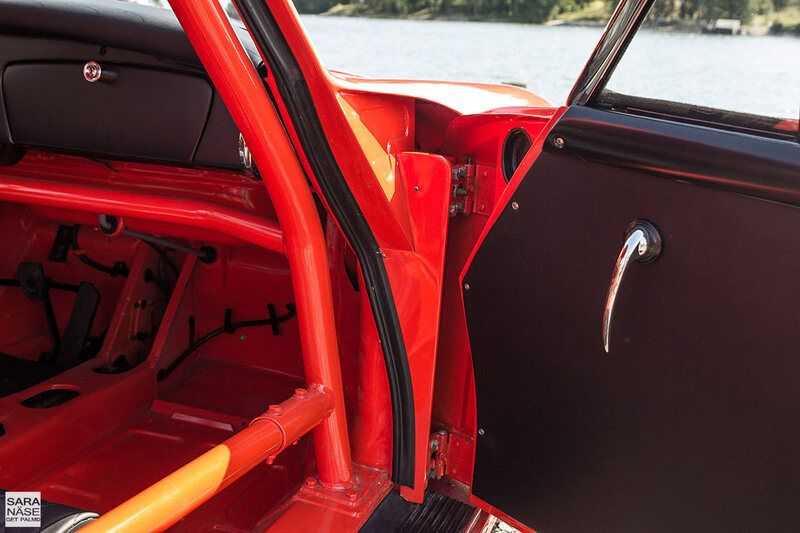 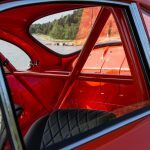 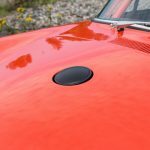 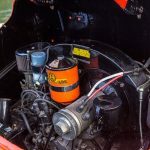 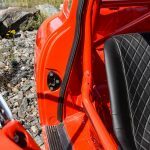 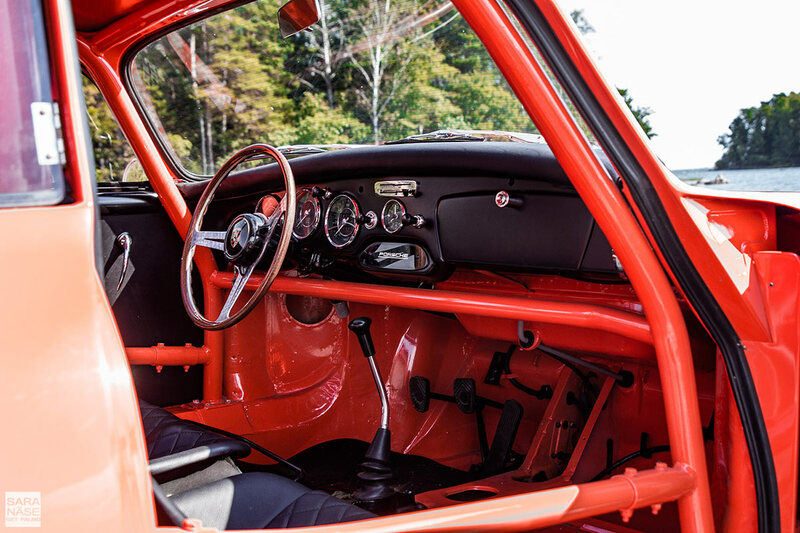 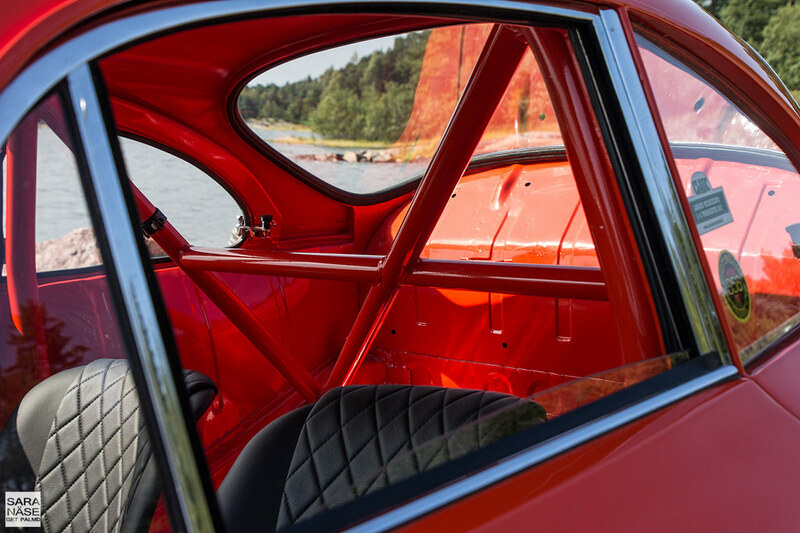 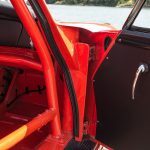 The interior was stripped down to minimum, rear seats had of course been removed to accommodate the roll bars, and the car was finished in a beautiful orange (blutorange). 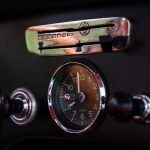 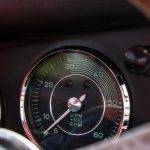 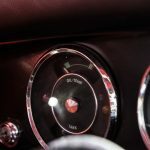 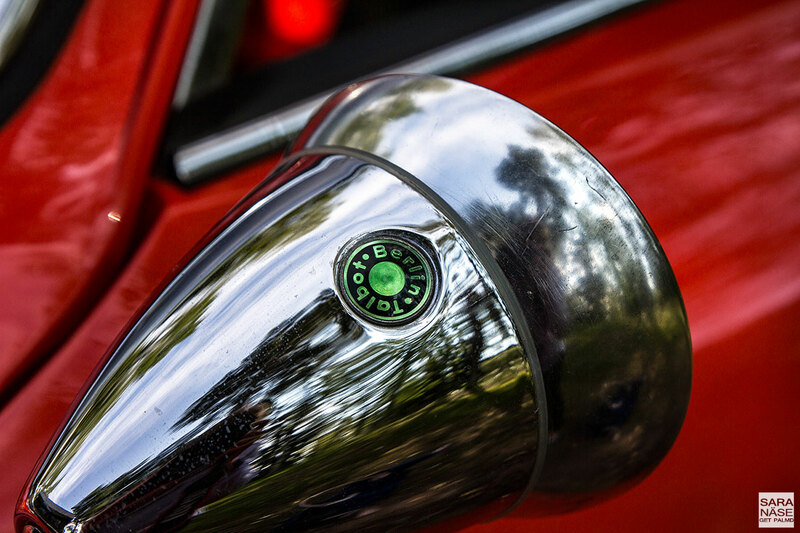 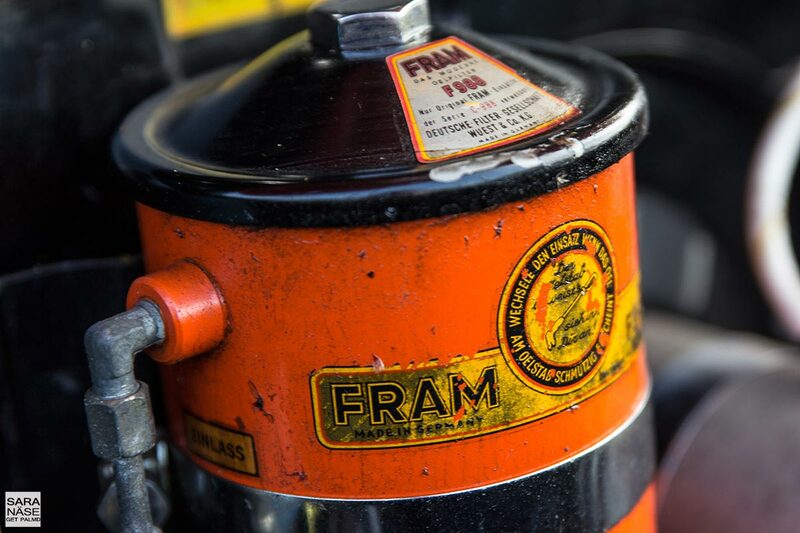 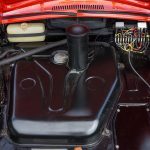 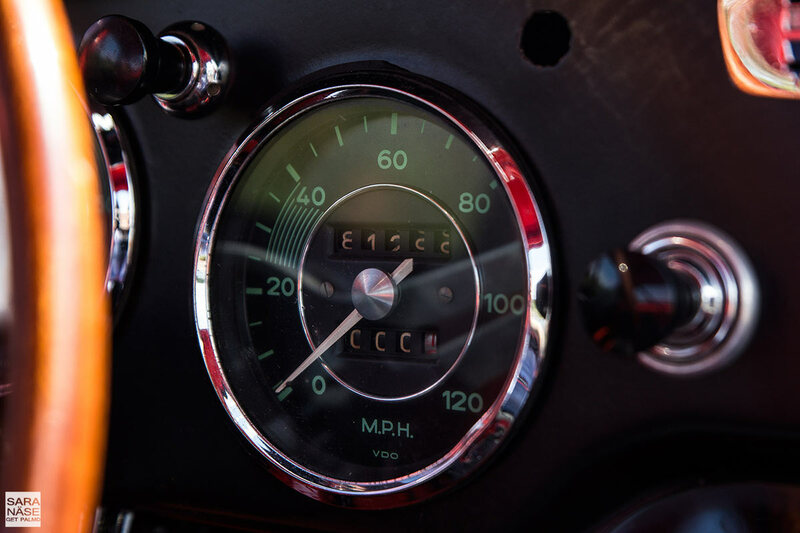 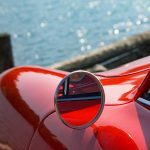 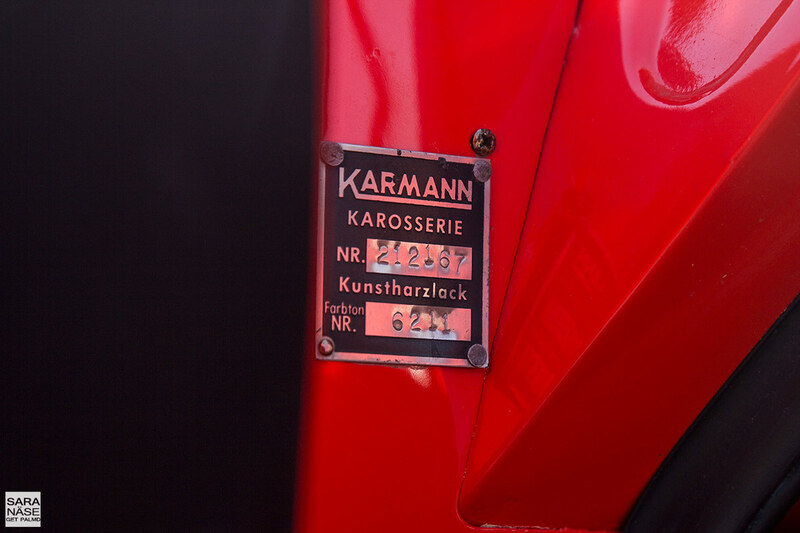 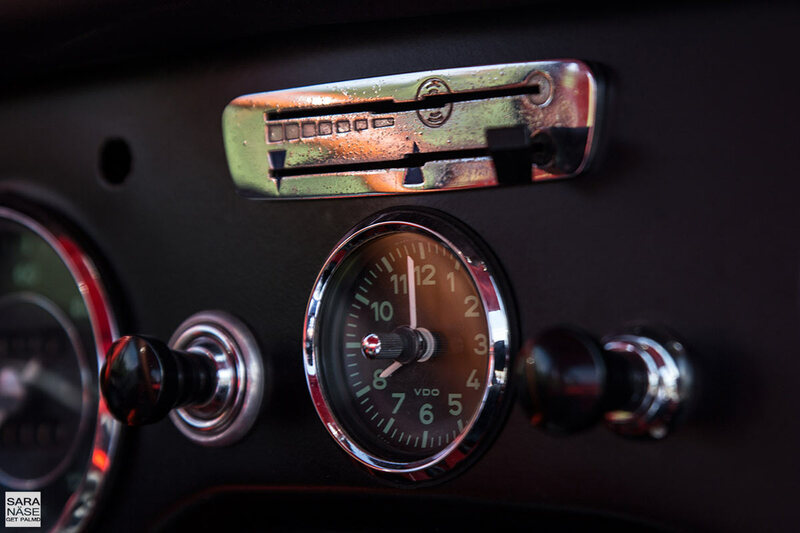 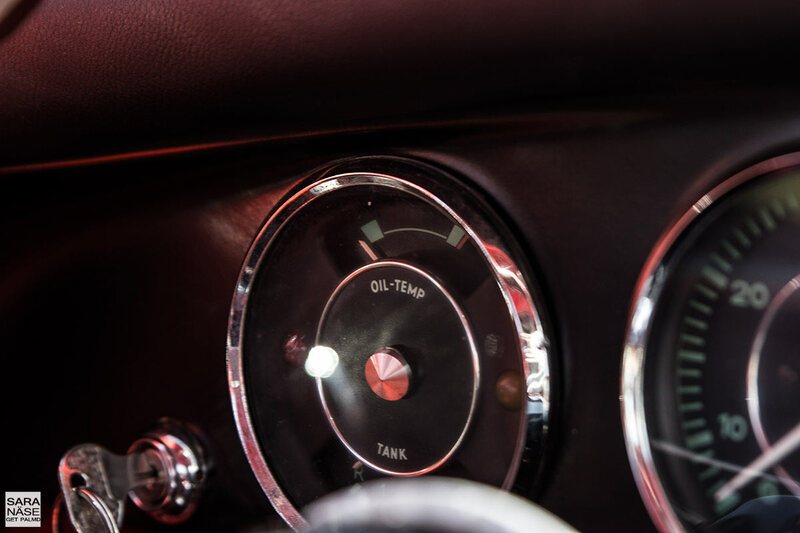 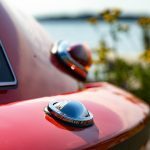 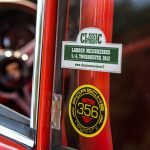 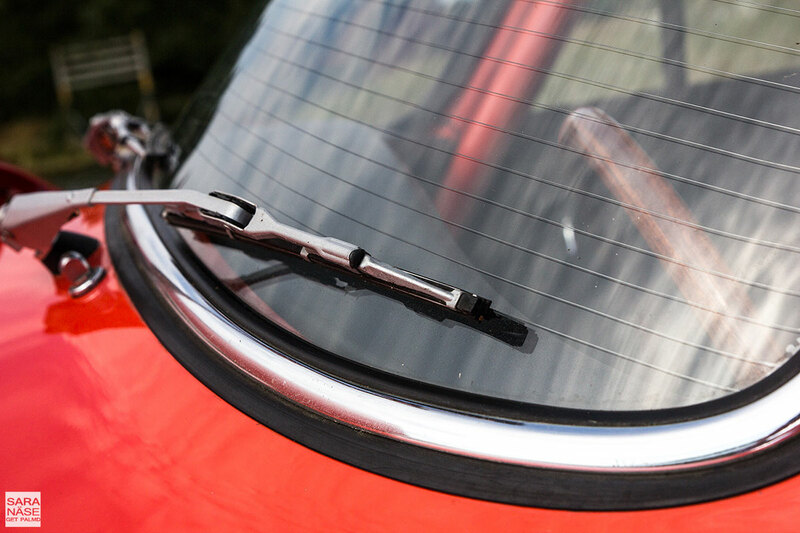 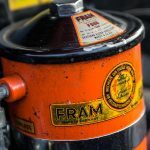 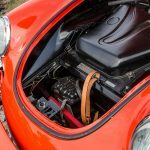 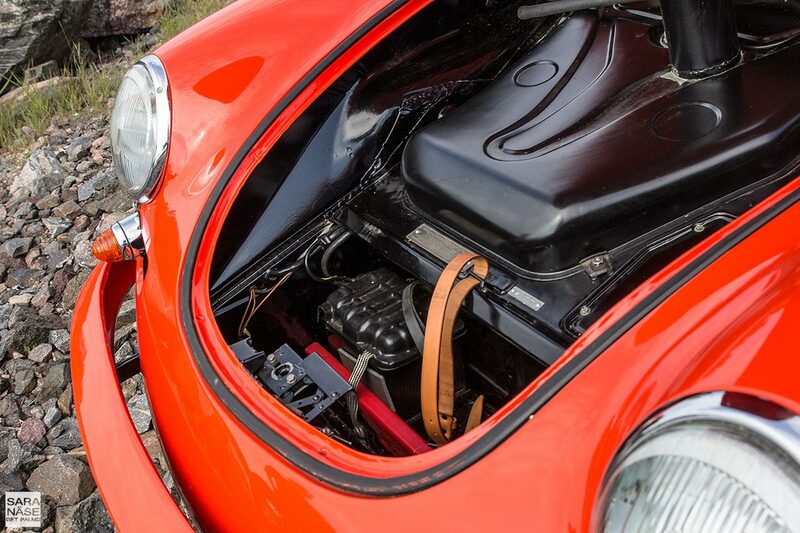 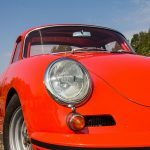 What makes this car a little more special is that it is a Karmann coachwork car, and only 899 of them were produced in 1962. 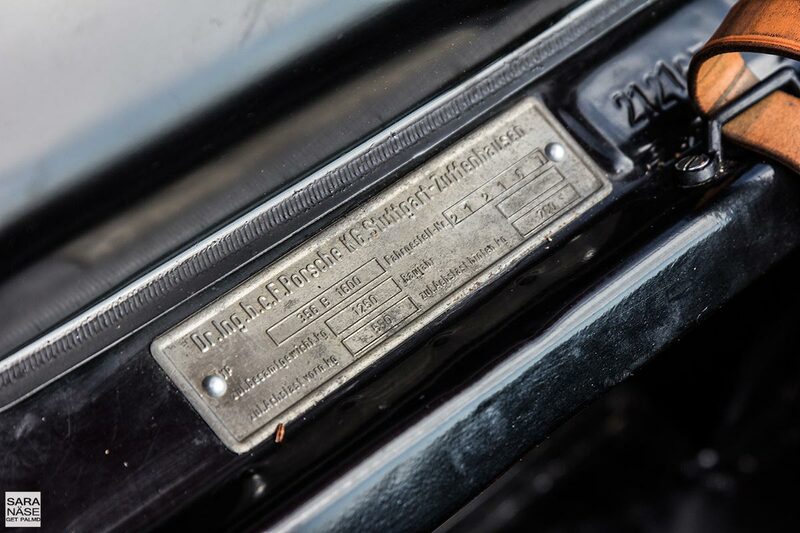 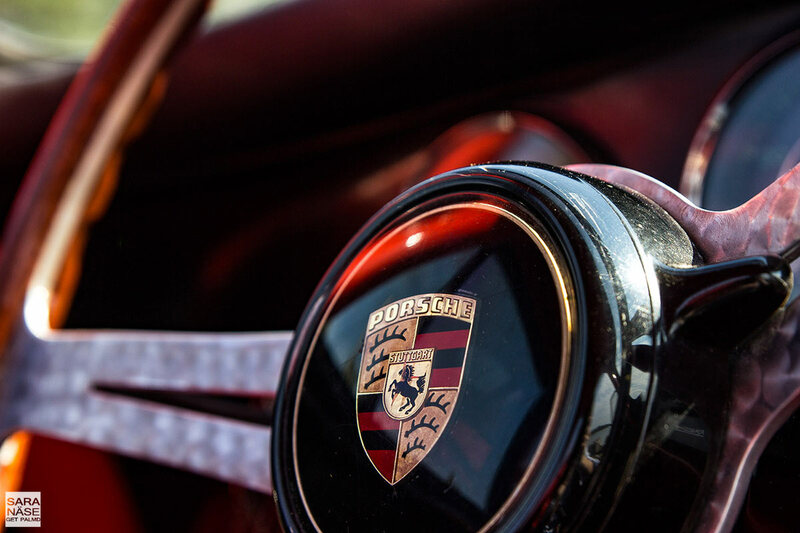 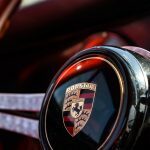 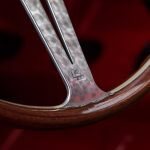 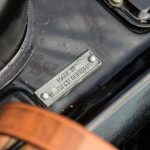 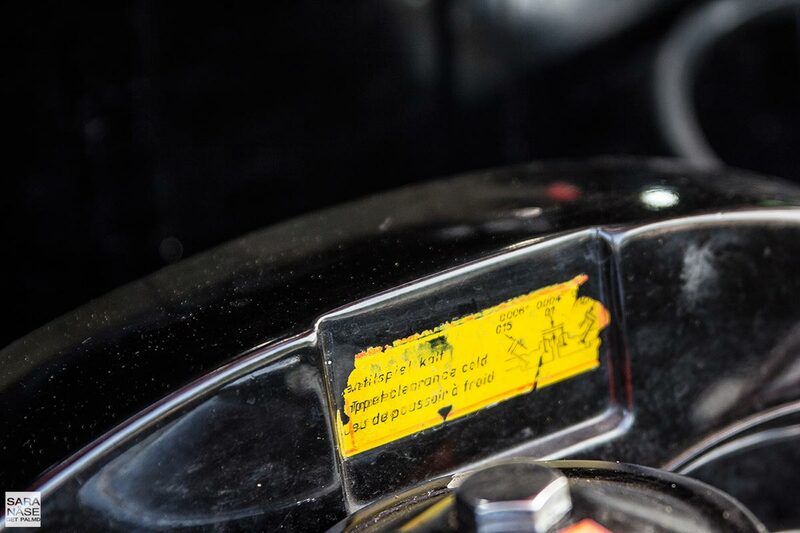 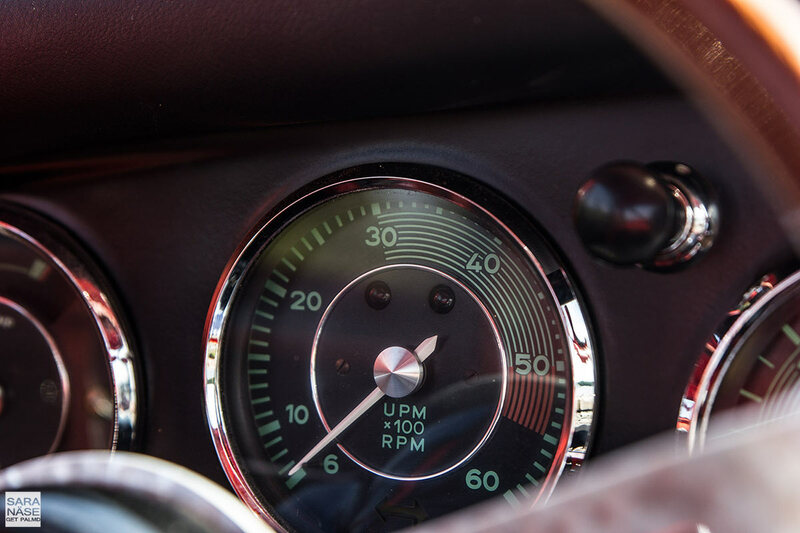 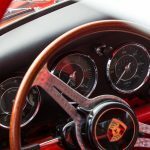 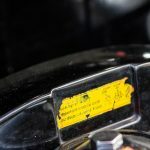 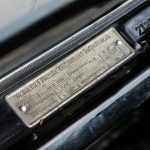 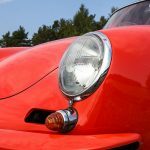 It would be possible to restore it to original condition as the owner (who is a true Porsche enthusiast and collector, this comes from a good home) has all the original parts left, including the interior. 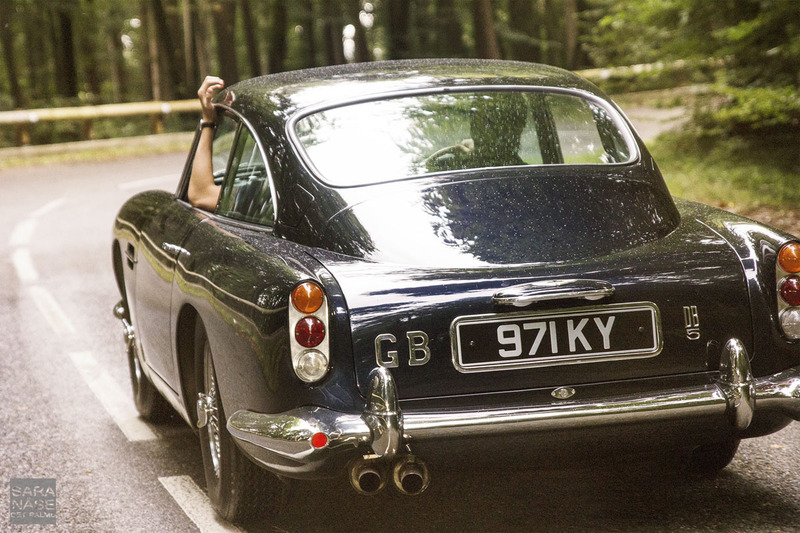 The value of the car would of course rise if you did that. 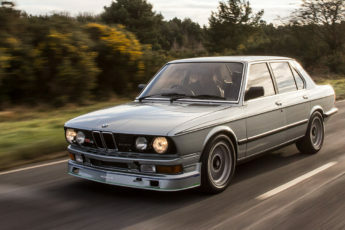 But somehow I personally thought the car is extremely cool like it is now, I am not sure if I would want to change it in any way if it was mine – looks unique. 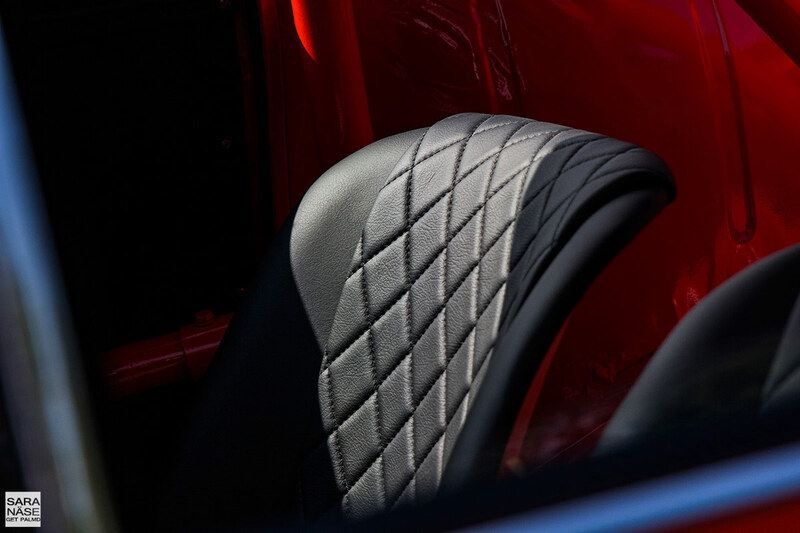 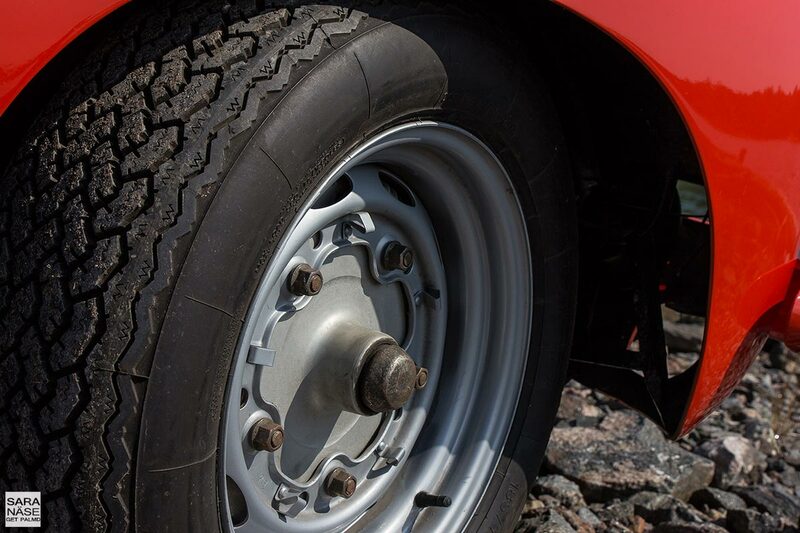 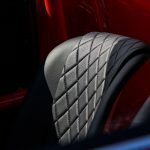 It has that “Outlaw” style and you will look like you are driving a race car on the road. 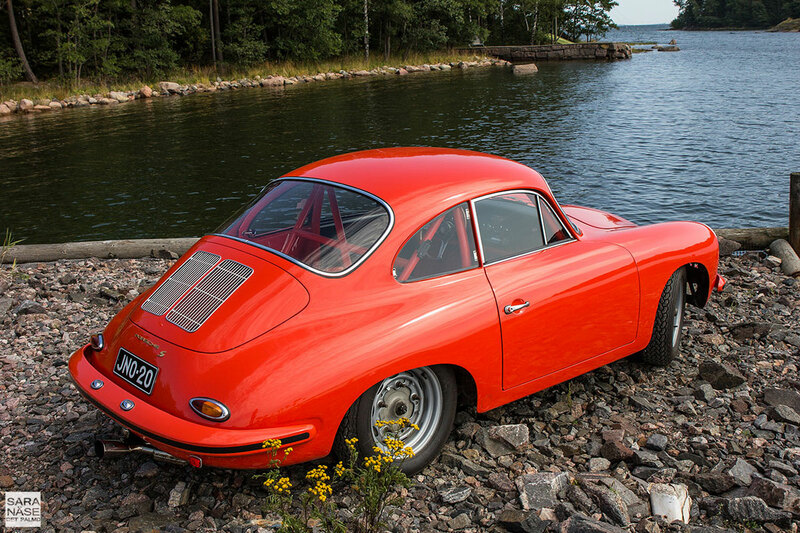 Sounds really good too! 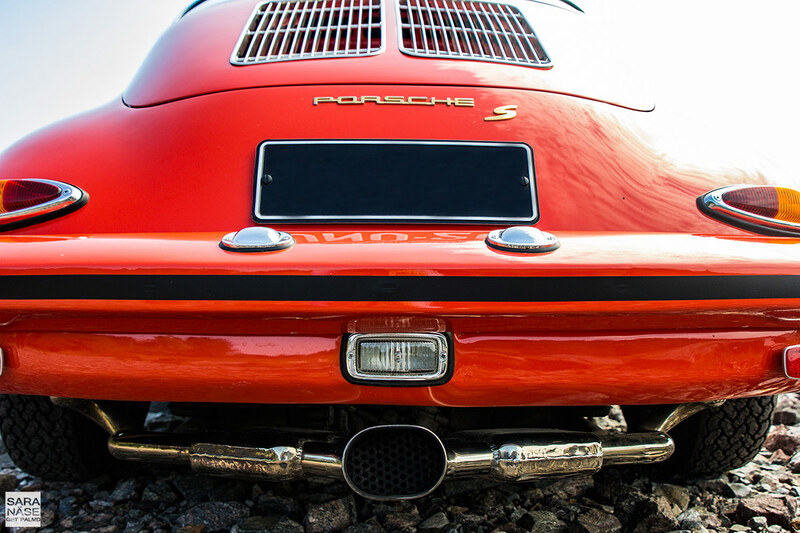 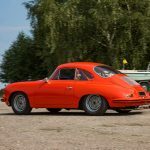 I can agree with the owner that the most beautiful part of this Porsche 356B is the rear, and I also love the way the exhaust really stands out. 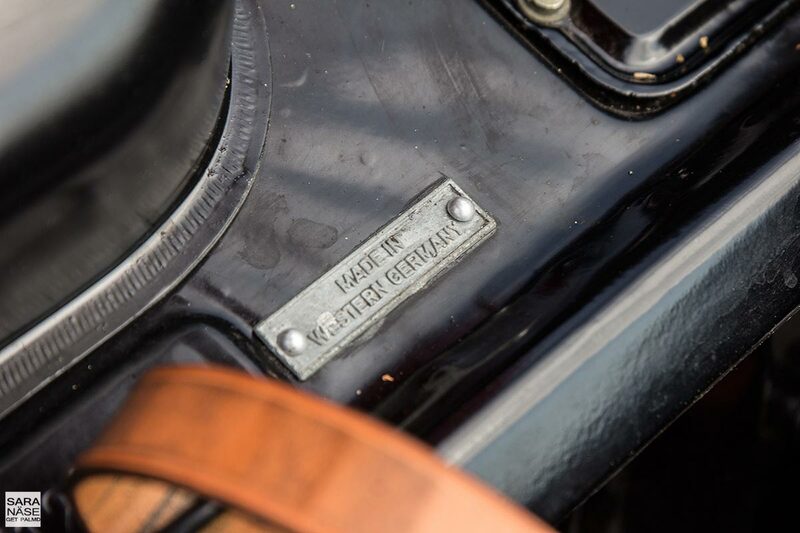 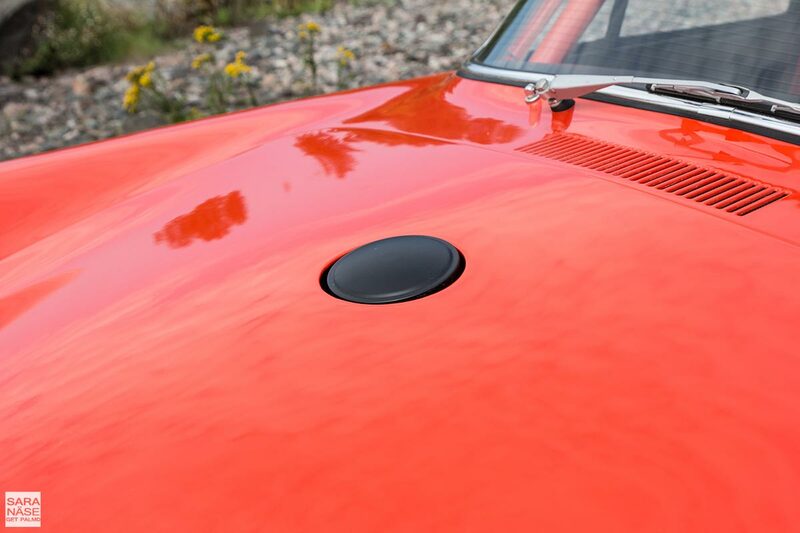 But even if the characteristic bonnet detail has been removed for a more race car look, you can not guess the model wrong. 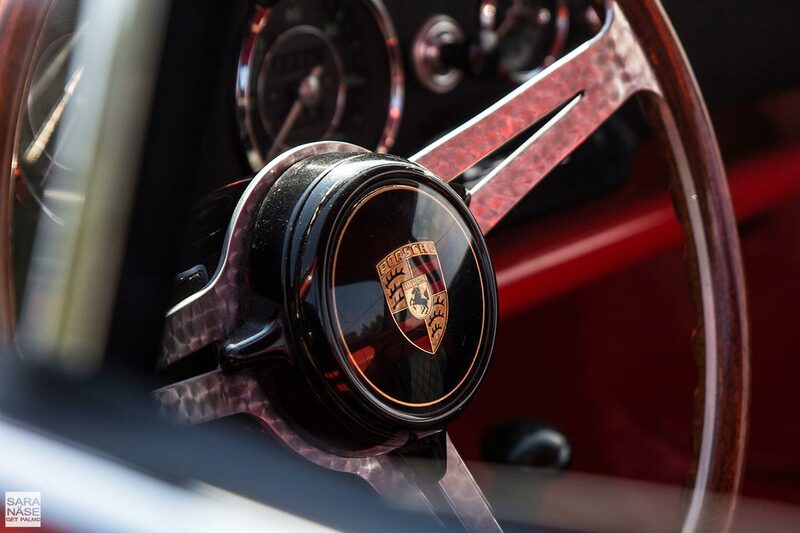 The shape is the same, and it is a masterpiece. 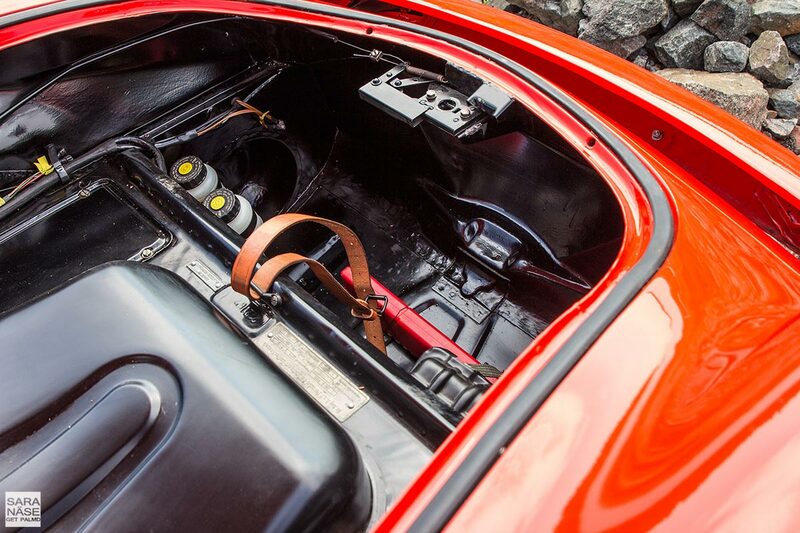 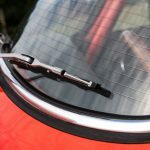 Could look good with leather bonnet straps? 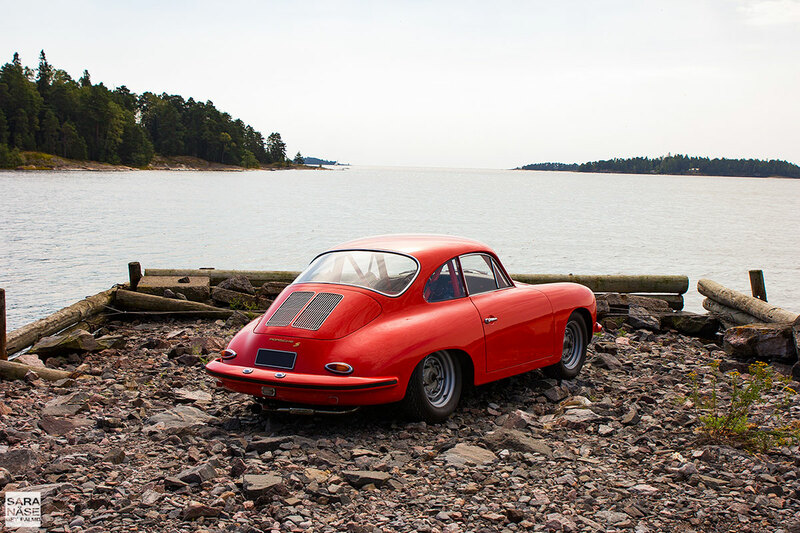 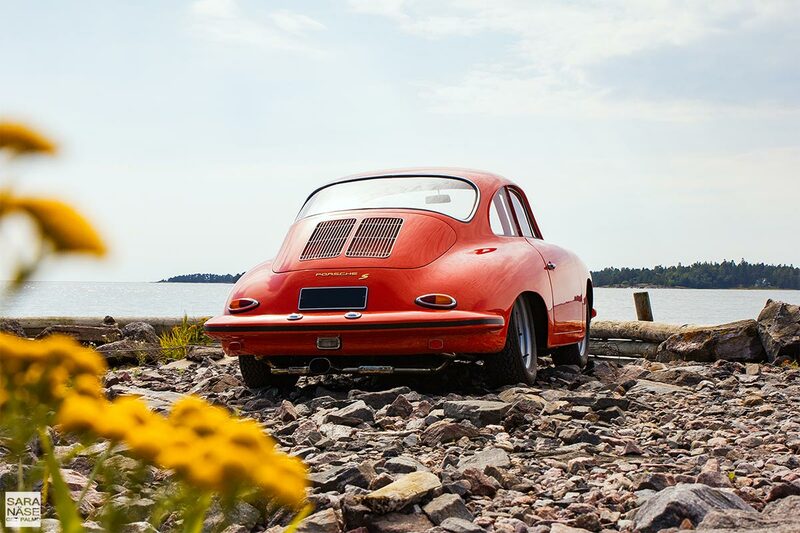 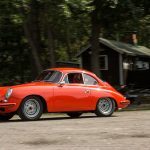 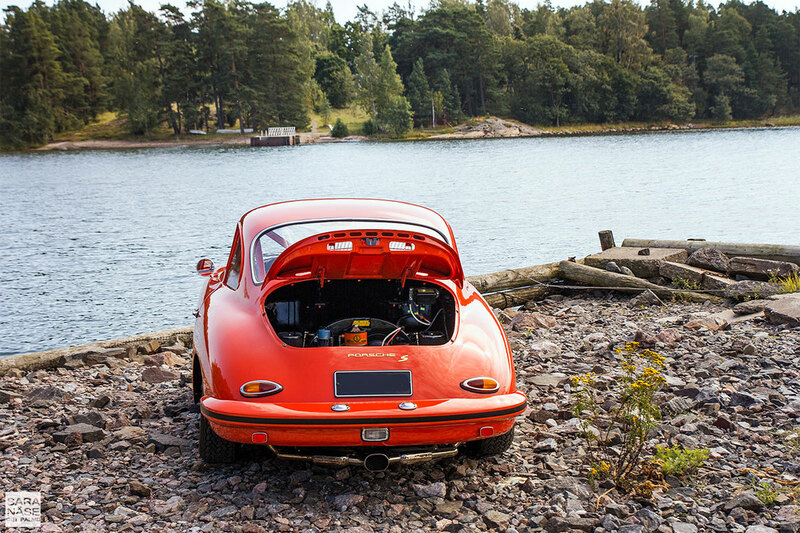 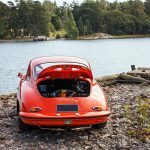 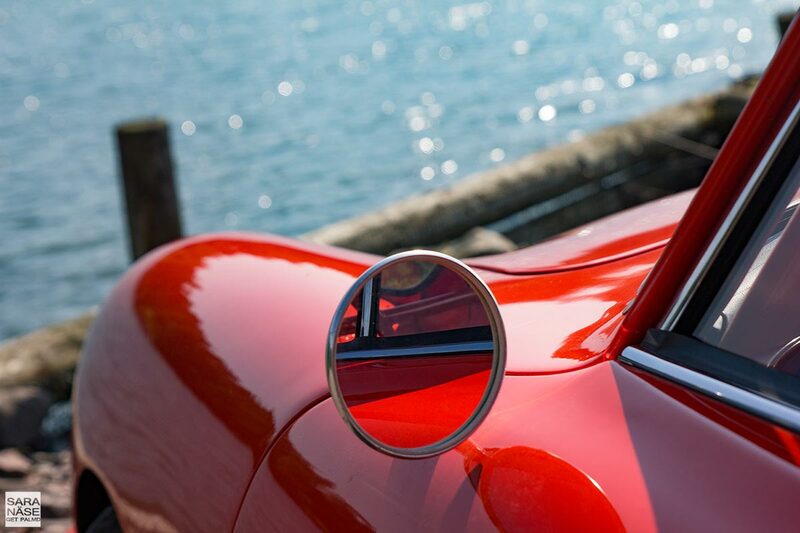 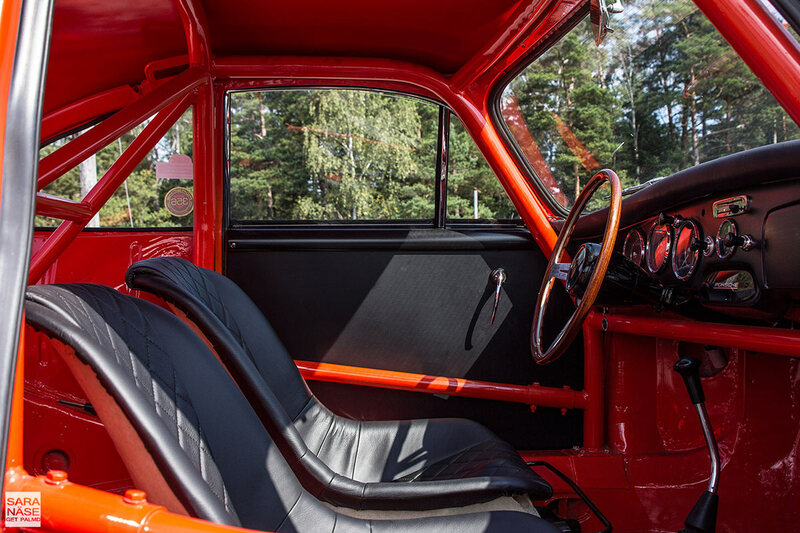 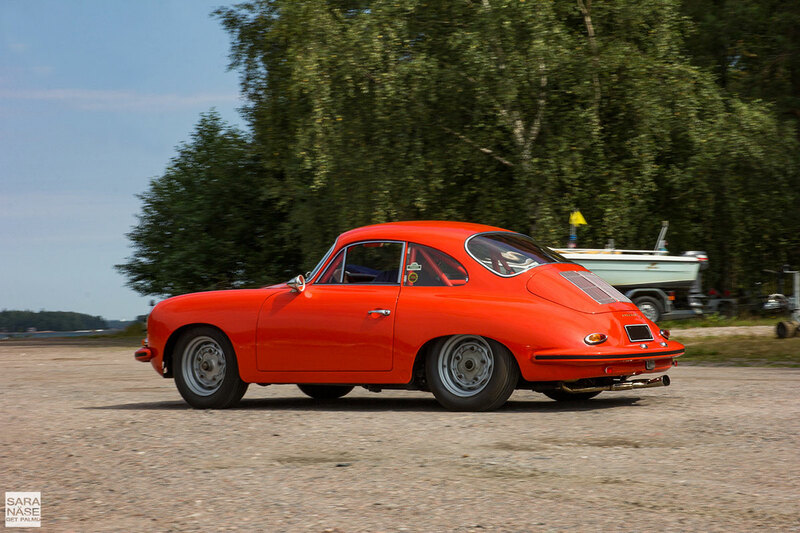 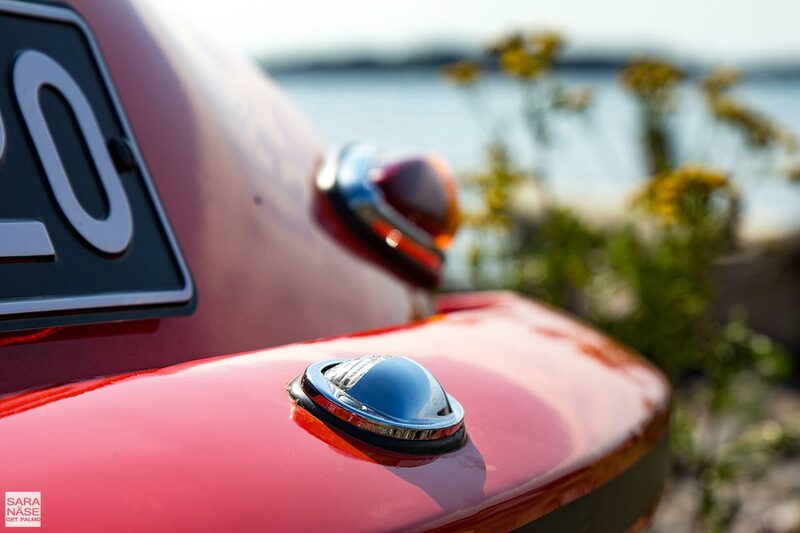 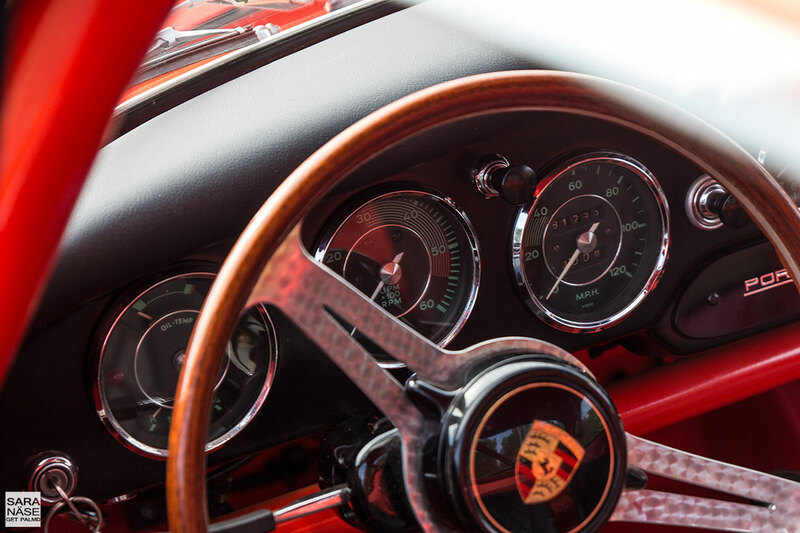 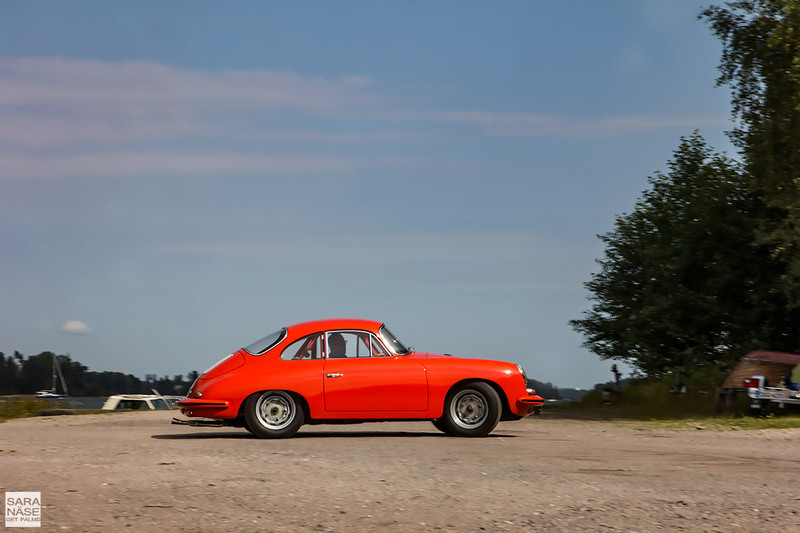 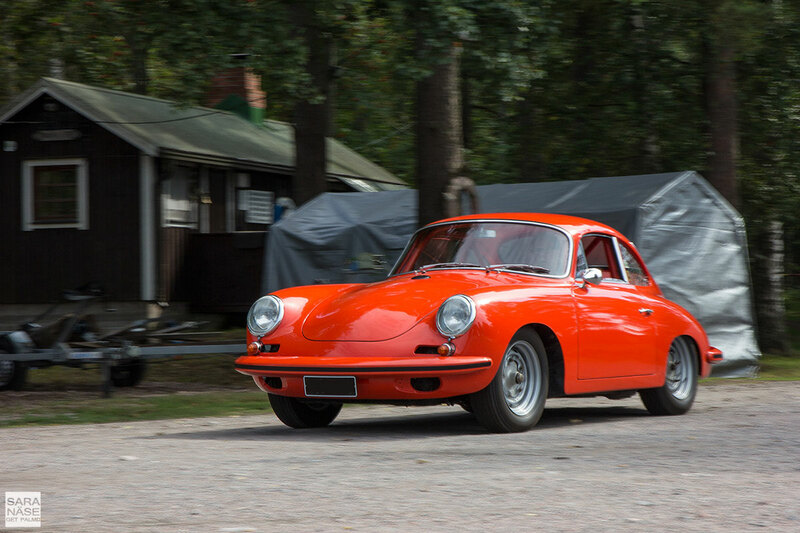 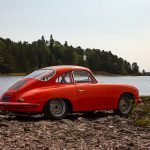 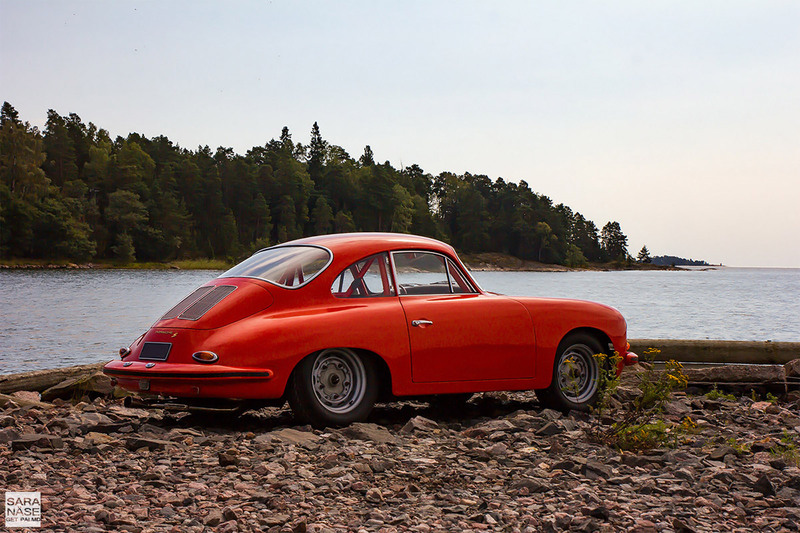 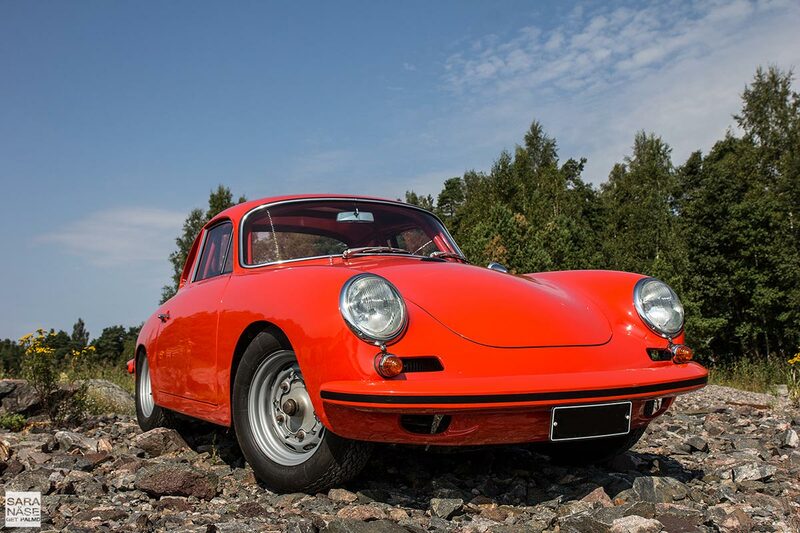 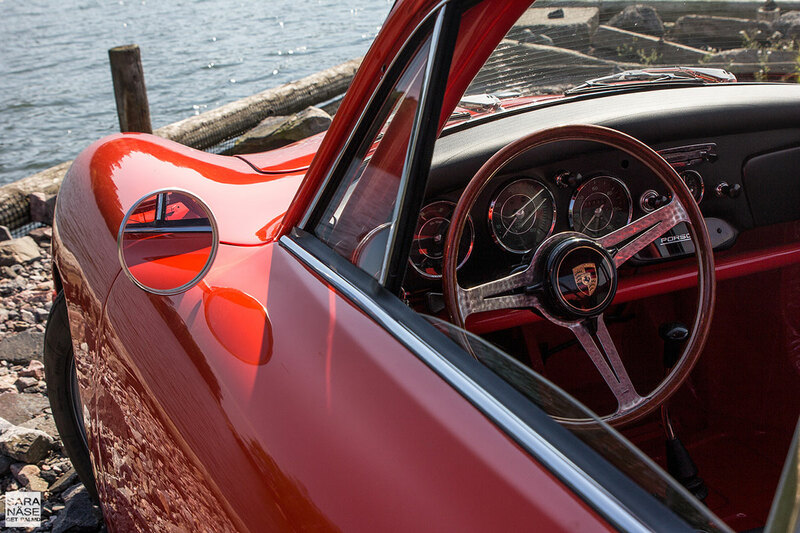 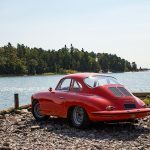 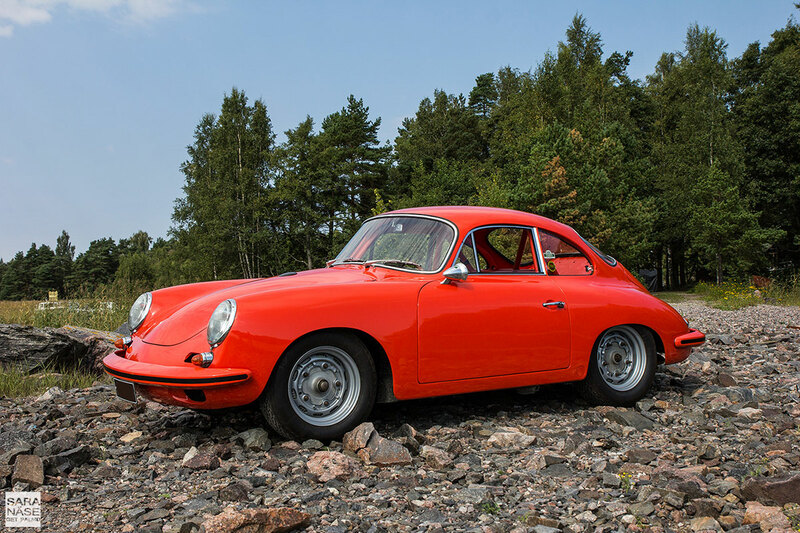 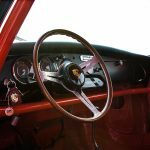 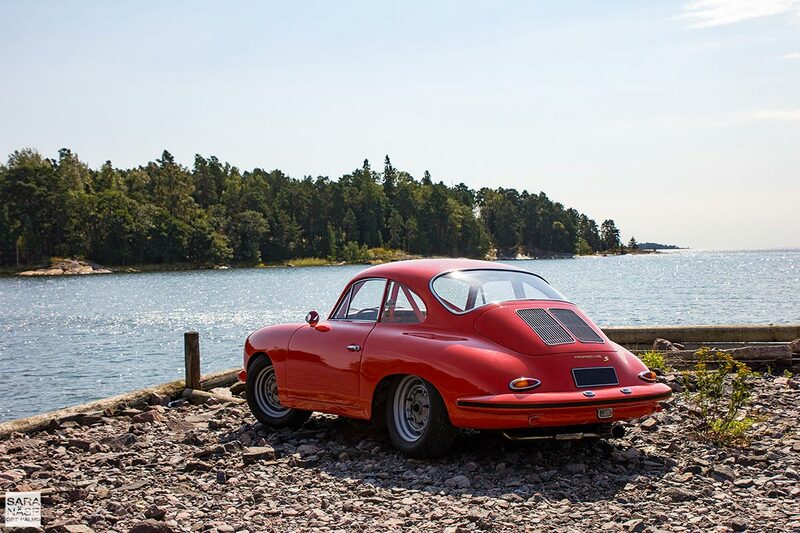 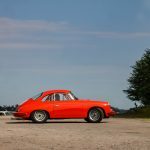 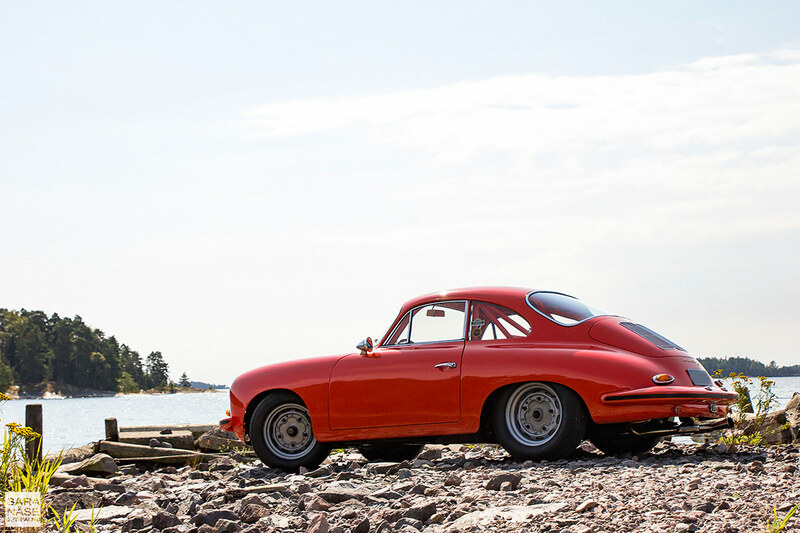 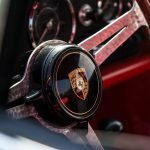 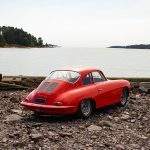 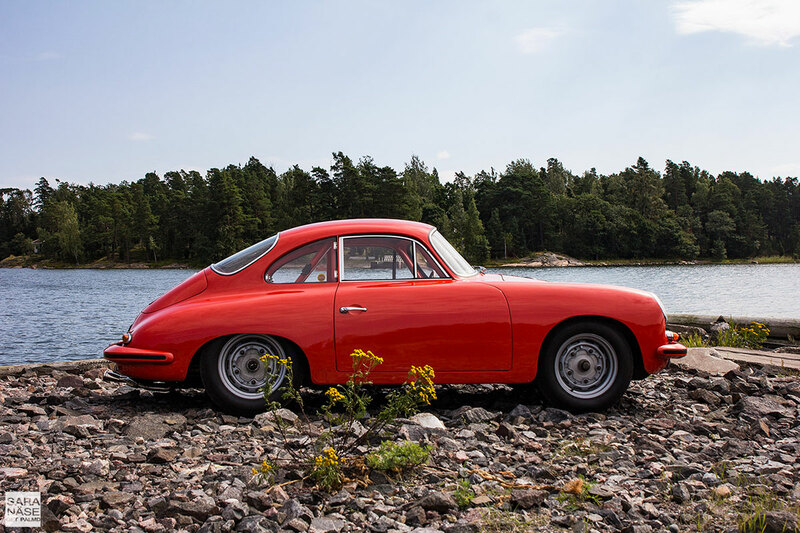 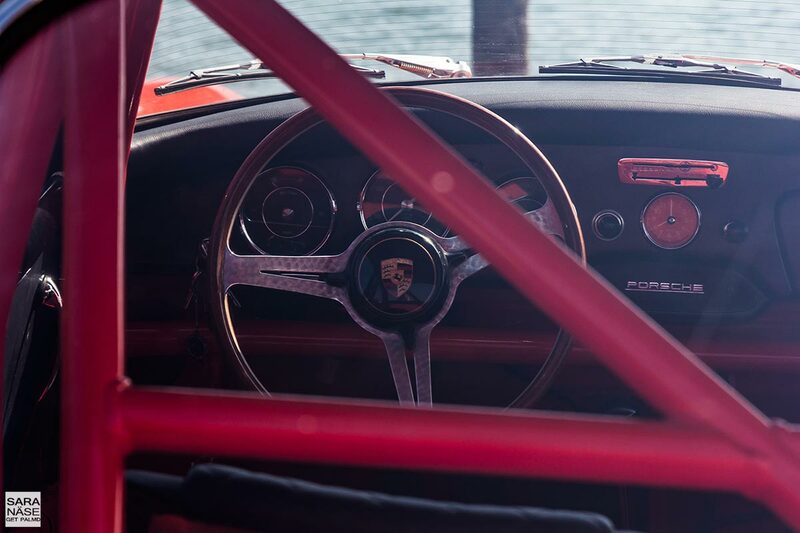 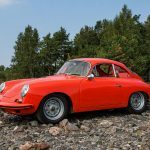 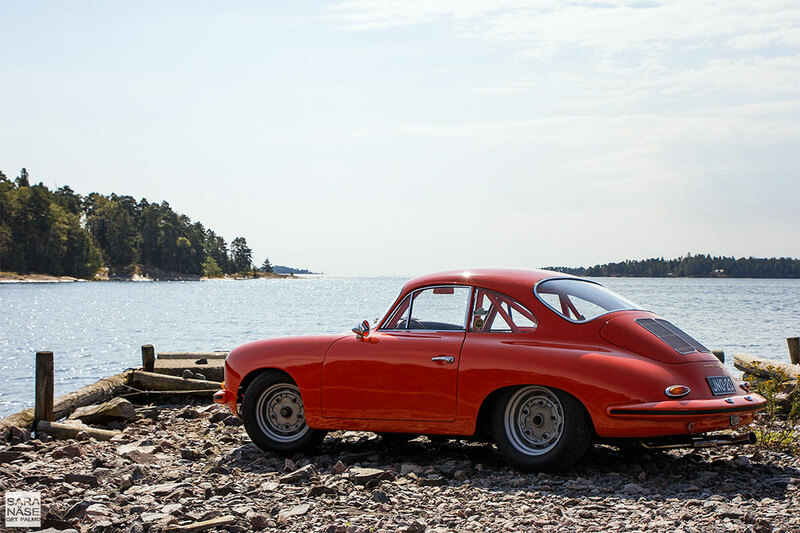 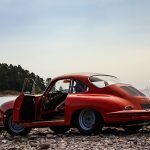 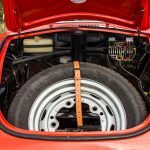 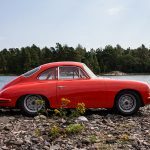 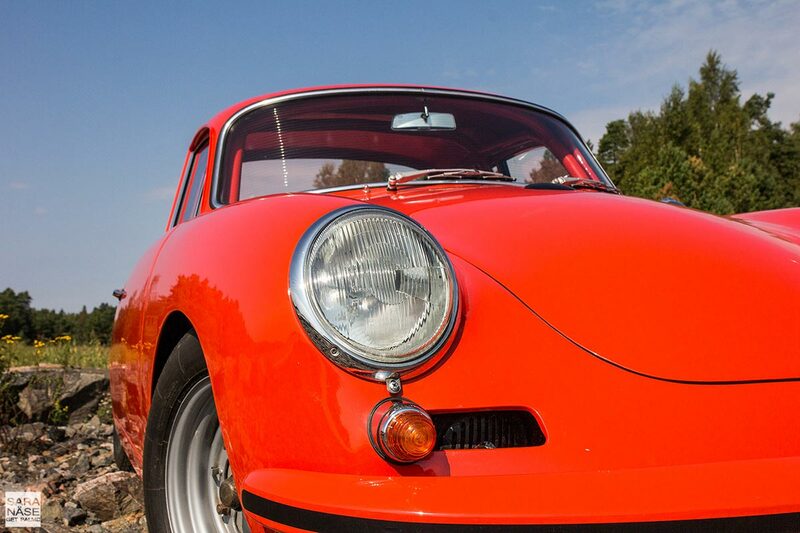 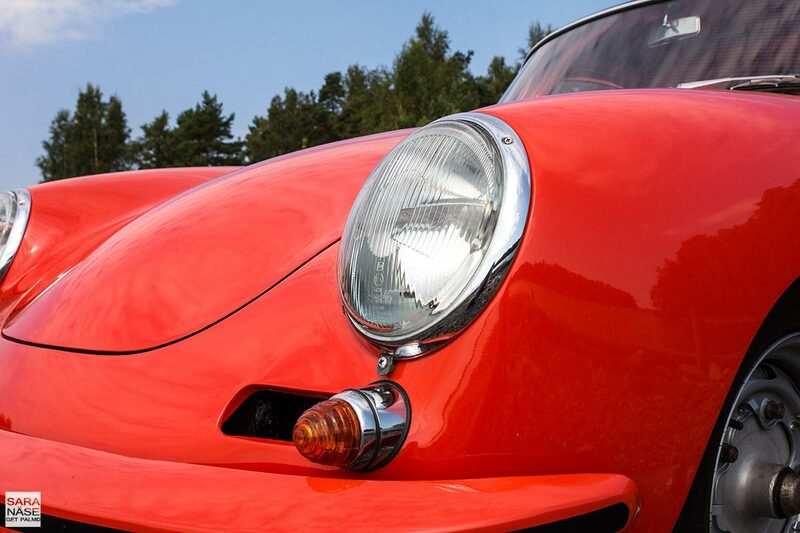 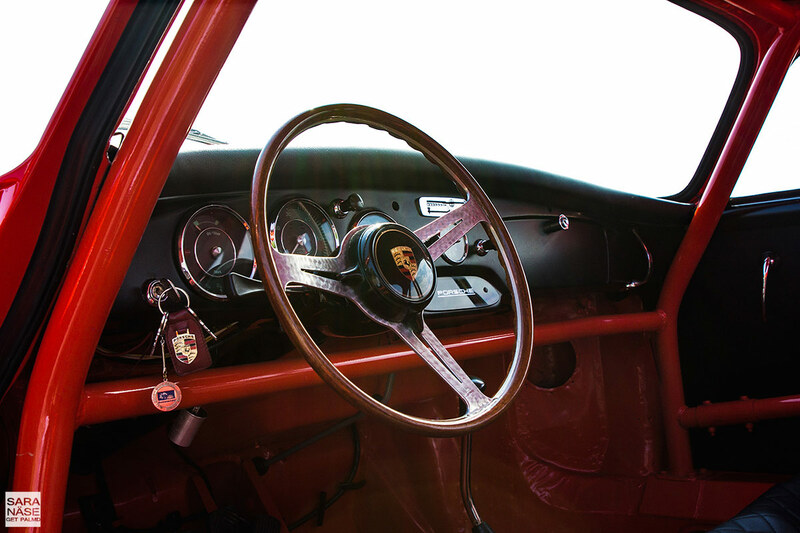 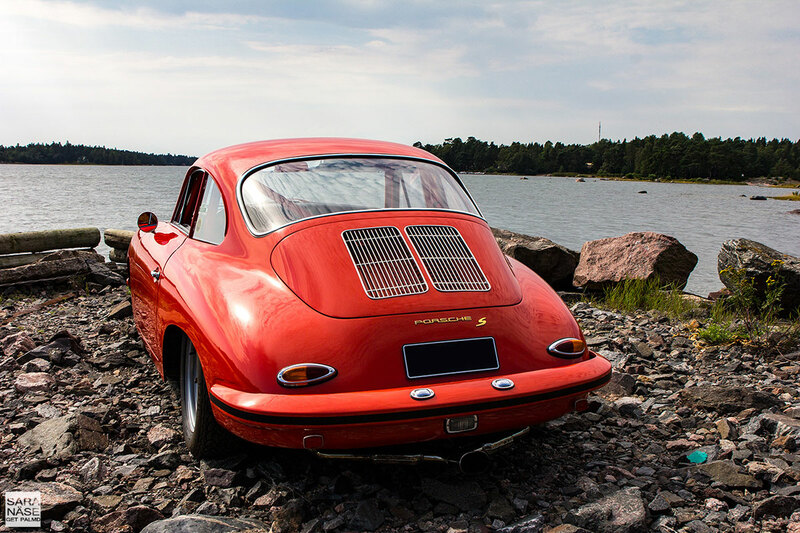 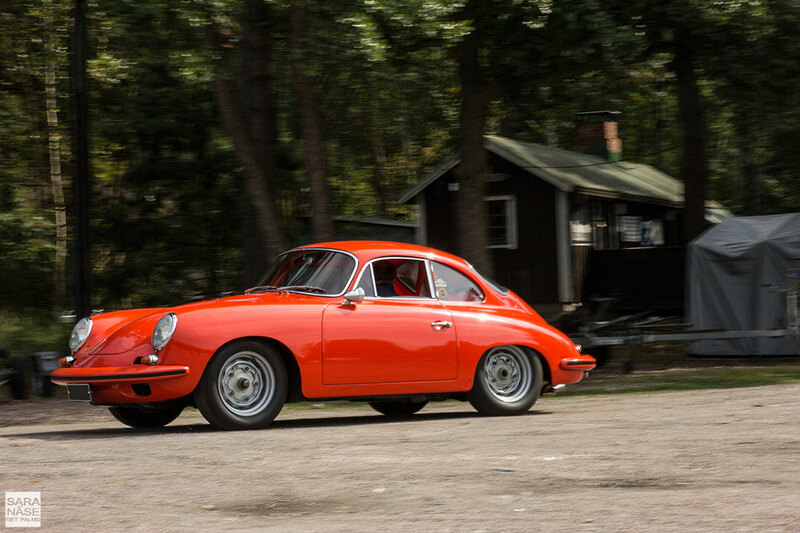 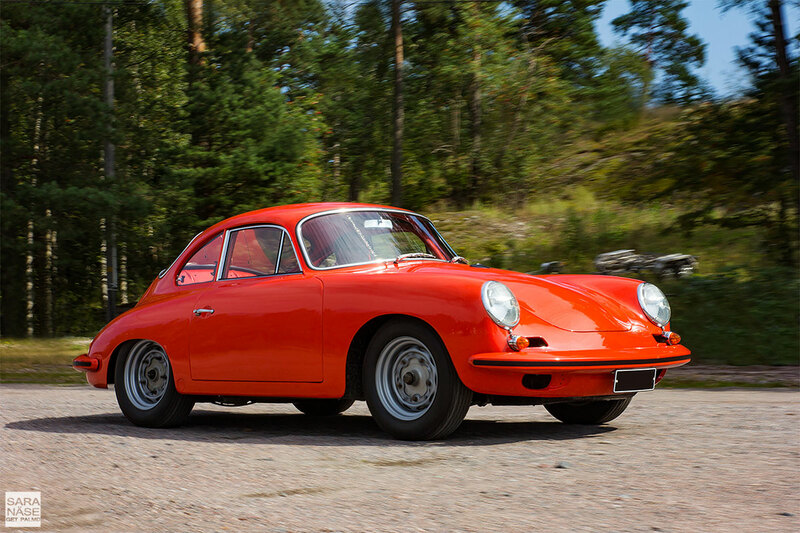 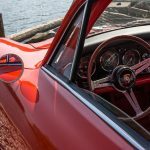 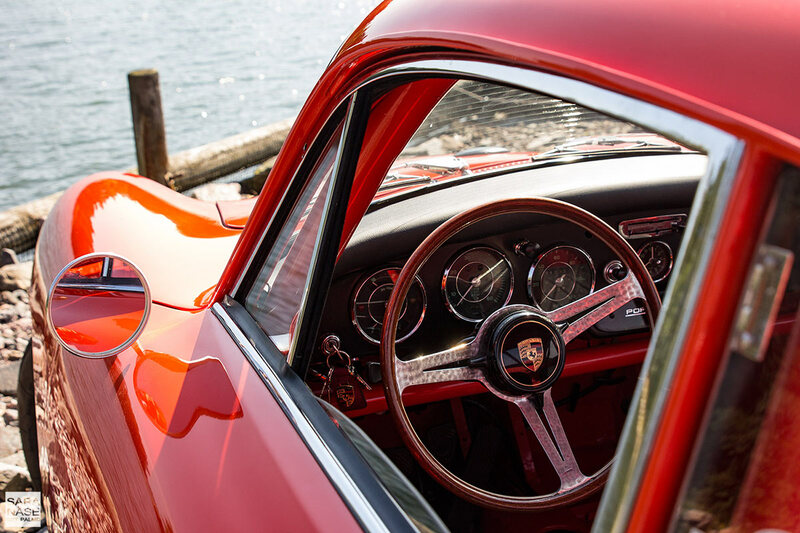 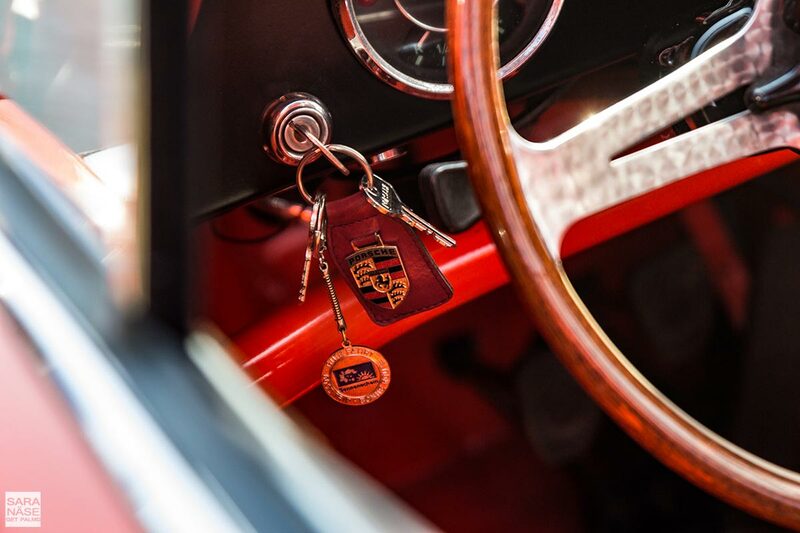 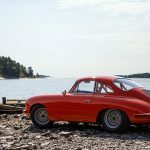 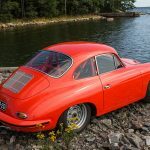 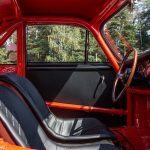 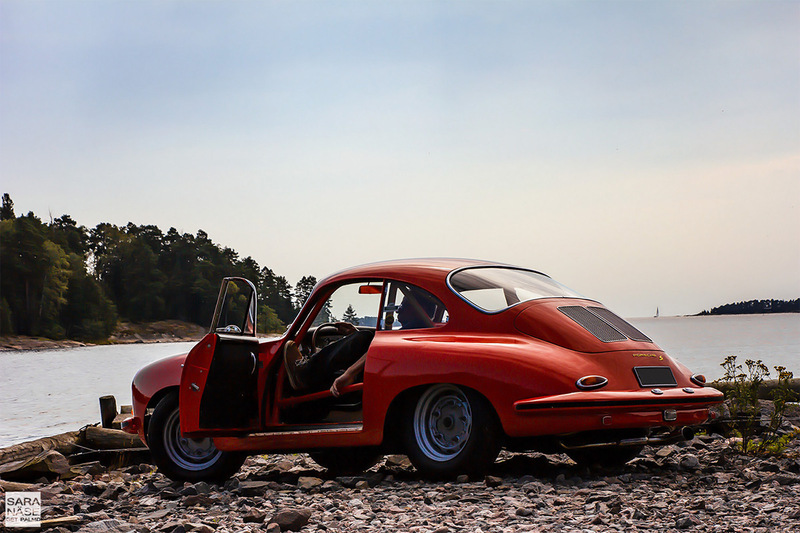 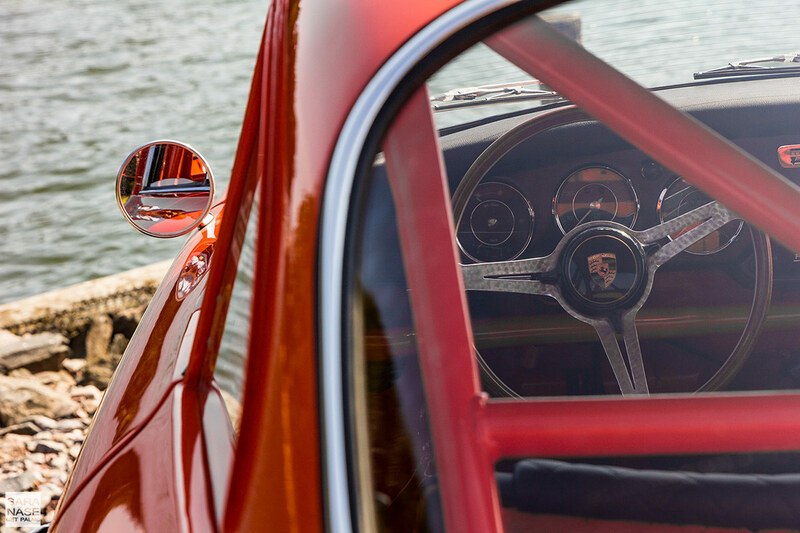 This Porsche 356B is for sale in Finland and has EU-registration (it is registered as a historic vehicle in Finland). 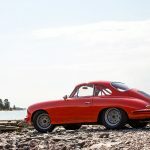 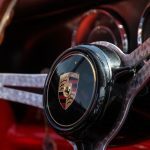 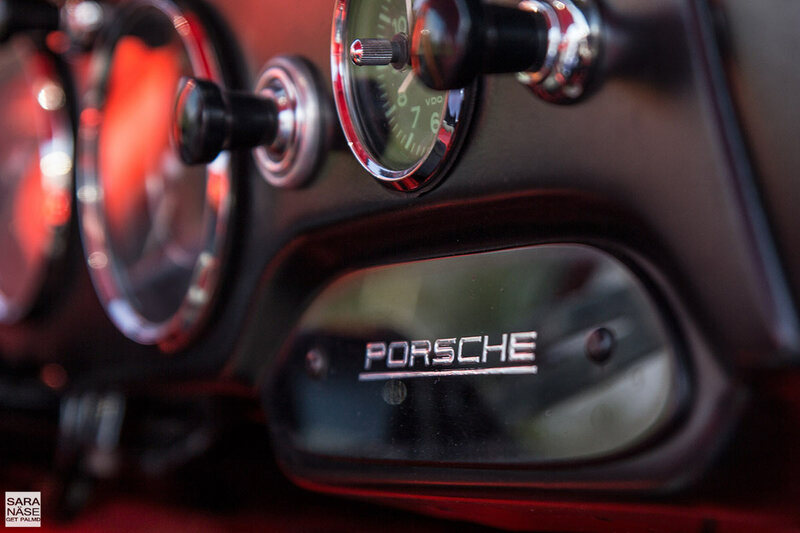 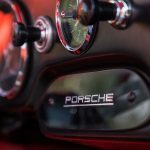 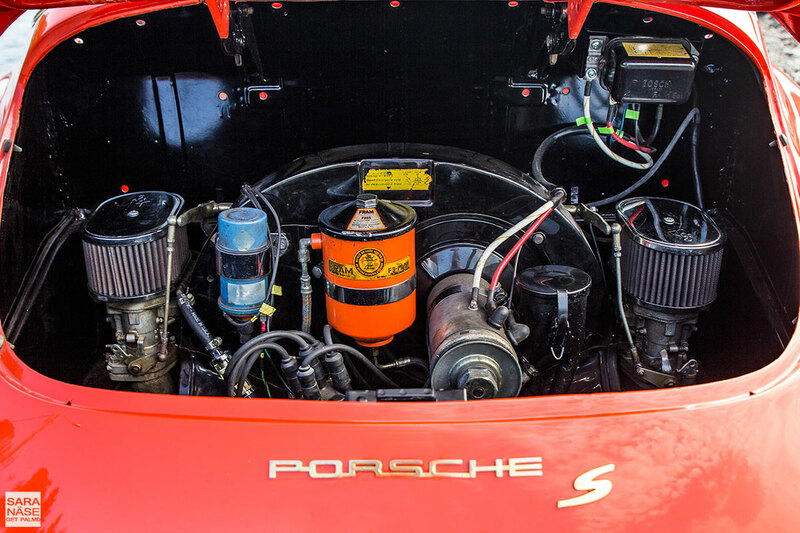 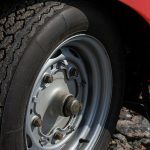 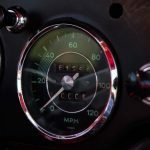 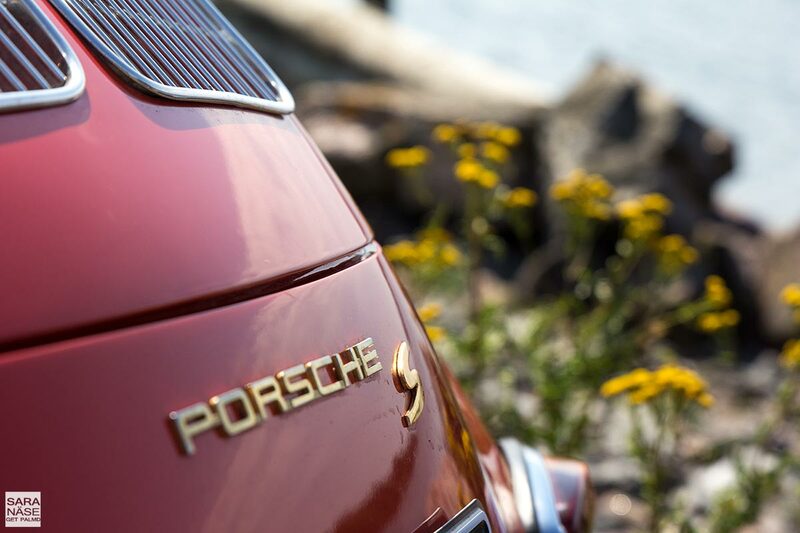 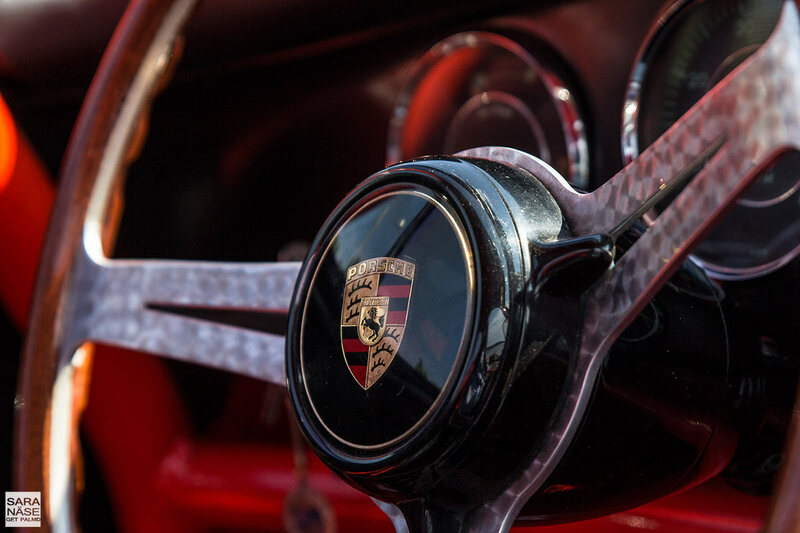 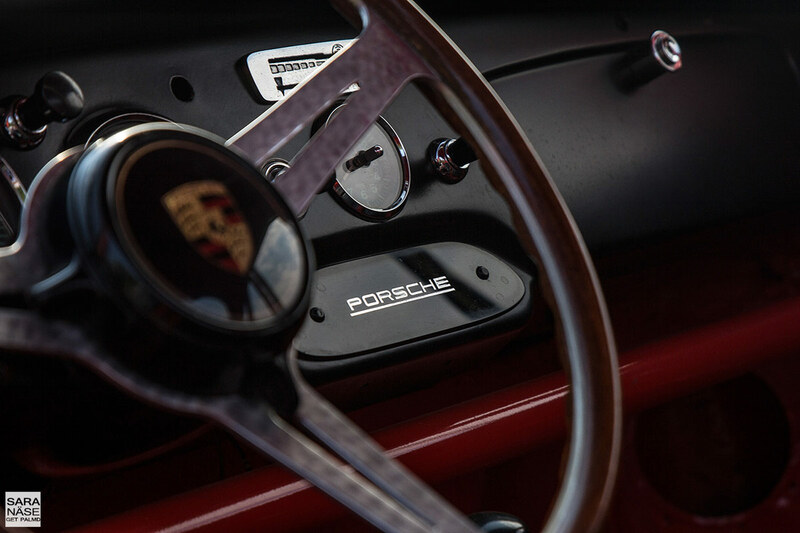 You can see the sales ad here and contact the dealer for more details: harriasunta.com/item/porsche-356b-super-60-1963. 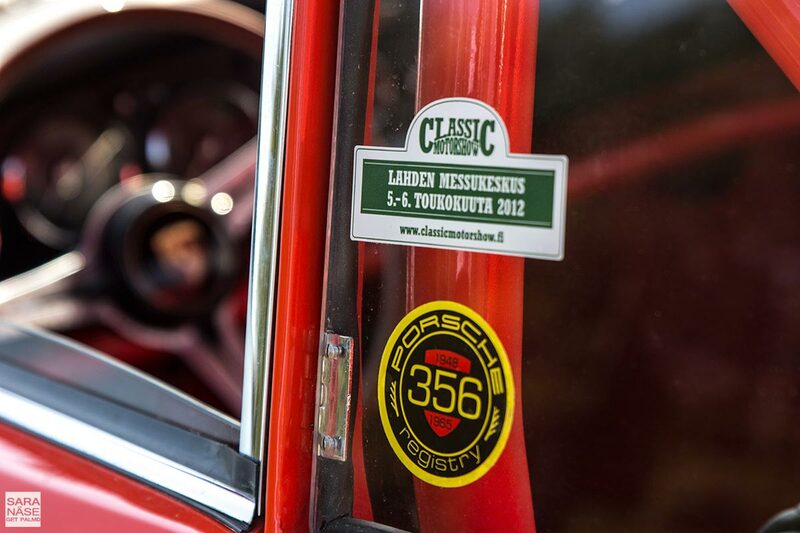 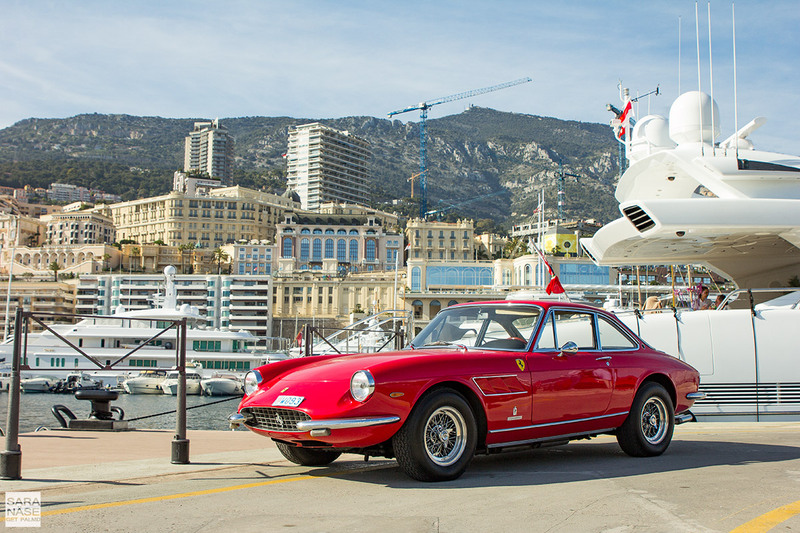 Many thanks to the owner for showing me this and a few other cars – always a pleasure to meet real enthusiasts and learn new things about classics! 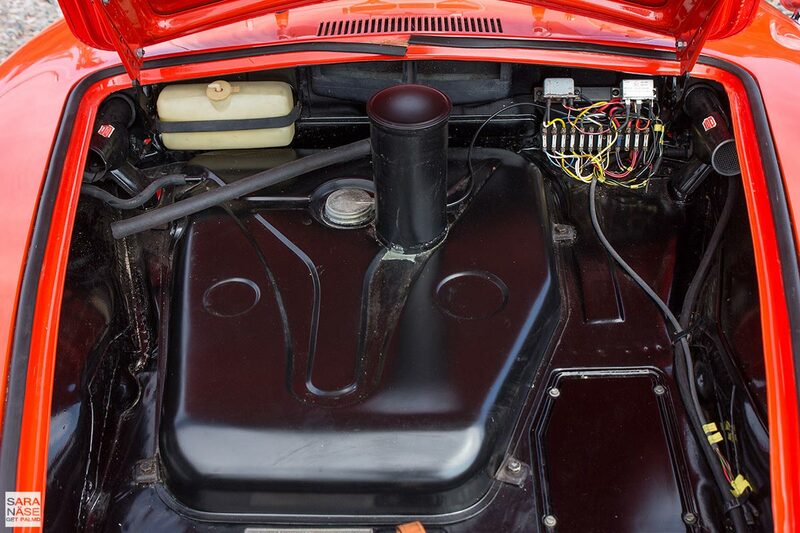 Thank you :-) Lovely car indeed, hopefully the new owner will keep it like this!